Στην περιοχή Αεροδρόμιο Γιανγκον, το Royal Pavilion Hotel αποτελεί ιδανικό σημείο για να εξερευνήσετε την πόλη Yangon και τα περίχωρα. Μόνο 2.9 km μακριά, αυτό το 3 αστέρων ξενοδοχείο είναι εύκολα προσβάσιμο από το αεροδρόμιο. Με την βολική του τοποθεσία, το ξενοδοχείο προσφέρει εύκολη πρόσβαση στους προορισμούς της πόλης που πρέπει οπωσδήποτε να δείτε. Οι εγκαταστάσεις και οι υπηρεσίες που παρέχει το Royal Pavilion Hotel διασφαλίζουν την ευχάριστη διαμονή των πελατών. Μια επιλογή από εξαιρετικές ανέσεις όπως τα 24ωρη φύλαξη, ημερήσιος καθαρισμός, δωρεάν WiFi σε όλα τα δωμάτια, ταχυδρομική υπηρεσία, υπηρεσία εισιτηρίου σας περιμένουν στο ξενοδοχείο. Τα δωμάτια του ξενοδοχείου έχουν διαμορφωθεί προσεκτικά ώστε να παρέχουν υψηλό επίπεδο άνεσης και την ευκολίας. Σε κάποια από τα δωμάτια, οι επισκέπτες μπορούν να βρουν επίπεδη τηλεόραση, κρεμάστρα ρούχων, δωρεάν καφές φίλτρου, δωρεάν τσάι, δωρεάν ποτό καλωσορίσματος. Εξάλλου, το ξενοδοχείο διοργανώνει πολλά ψυχαγωγικά δρώμενα έτσι ώστε να έχετε πολλά πράγματα να κάνετε κατά τη διαμονή σας. Απολαύστε τις ασύγκριτες υπηρεσίες και μια πραγματικά περίβλεπτη διεύθυνση στο Royal Pavilion Hotel. The hotel is located right next to Ocean supermarket, and has several good restaurants within minutes of walk. Location is good, however the hotel itself is just average. Room: Spacious and overall clean. Huge windows so it has ample lighting during the day, the view is also good as you get to see a lot of greens outside the window. My room is facing the street but it doesn’t get too noisy even during the rush hours. Facilities: Tv cable already broken so couldn’t get any signal. Bathroom doesn’t have a separate shower, so the floor will get very wet and slippery after showering. There is no lighting above the desk area so I found it a bit disappointing as a business traveler. Service: Front desk was friendly and helpful. House keeping service was not quite ideal, I put the “do not disturb” sigh in the morning because I was working, I flipped the sigh when I left the room around noon, but when I came back around 9pm the room has not been cleaned. This was pretty disappointing. I probably won’t be back in the future if other options are available. Dear phang, Thank you for taking time to pen your feedback. Thank you for your positive comments about our location. We look forward to be of service to you again. Dear Liang Yu ,Thank you for the great review of our hotel! We are glad that you enjoyed your stay and hope to see you again very soon. 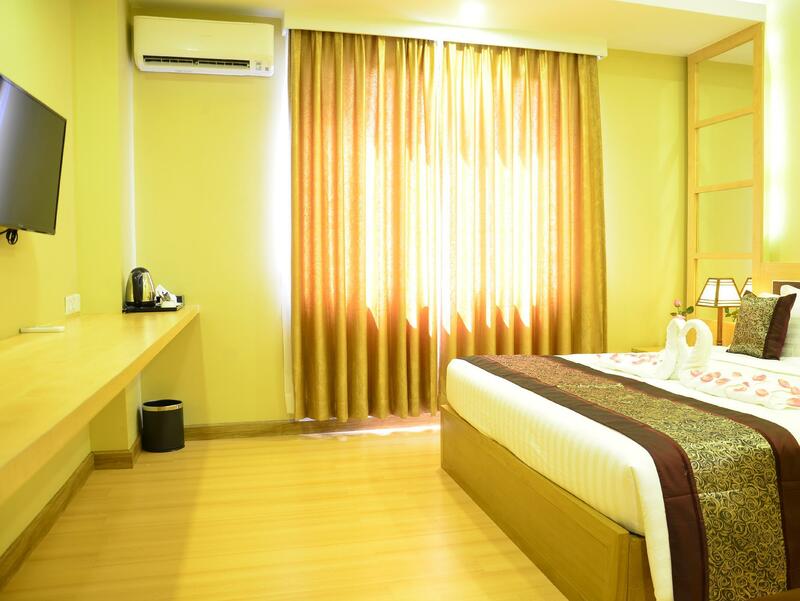 close to airport, clean and comfortable room. staff are friendly. overall is ok. I usually stay in this hotel for my business trip because it is near to the airport. They were enjoyed. Breakfast was okay for their growing up boys. Dear Rachel ,Thank you for the great review of our hotel! We are glad that you enjoyed your stay and hope to see you again very soon. My friends were enjoyed their stay as family. The staff were very patient with my friends when I forgot to pay the hotel fee in advance. This is the 3rd time I stayed in this hotel. It was 9 months since the first experience with this hotel. Hotel was not well maintained. The door can't be closed properly, you have to pull or push hard to close the door. Sofa at the lobby already old and seems dirty. However the staffs are very nice and helpful no matter in the lobby or in the restaurant. Dear Ka, Thank you for taking time to provide us with your feedback. We are delighted to hear that our staff are very nice and helpful.Our main and only goal is to satisfy our guests and to pay great attention to maintain our hotel well. We appreciate your feedback to make us aware of the door that cannot be close properly,then we fixed it as we received your review. As for sofa at the lobby, we have already replace them with new ones and new colours. 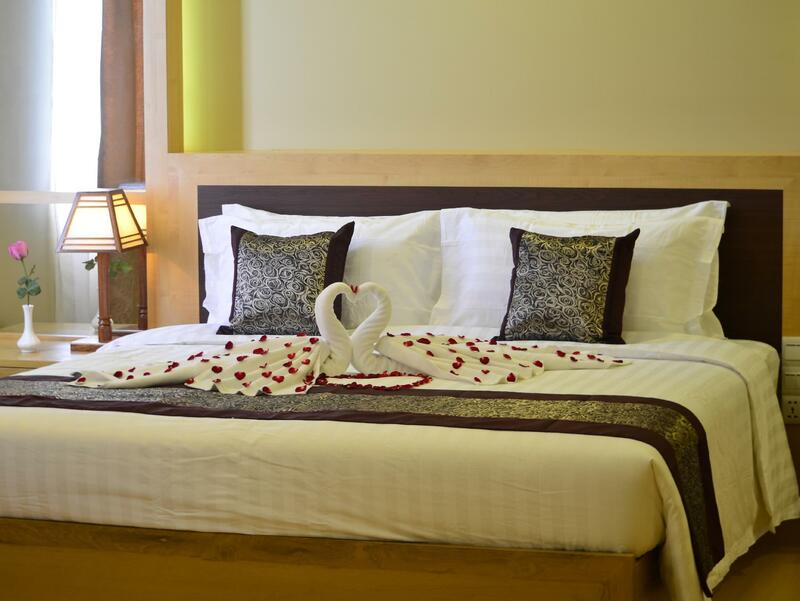 We do hope to have the chance of welcoming you for your next visit to Yangon. The power supply will usually cut off several times throughout the night and recover back after few minutes. There are no smoker friendly room The traffic there is good compared to city area but there isn't much things to do at night only a very run down shopping 5 minutes walk from the hotel. The hotel hallway seems a bit crippy and the variety in the hotel restaurant isn't many to choose from. The packaging for the coffee mix is extremely hard to open when you are trying to make a coffee for yourself. It is as if they purposely do not want you to make drinks for yourself. There only provide one role of toilet paper throughout one week of staying and they do not even provide additional role even if they cleaner noticed that you are running low. They have no signage to let you hang on the room door of there are laundry to be picked up thus, they will always knock on your door every morning at 8am to wake you up from sleep. I am usually very impressed with the good service attitude of the front desk staff. The check in was very fast this time. 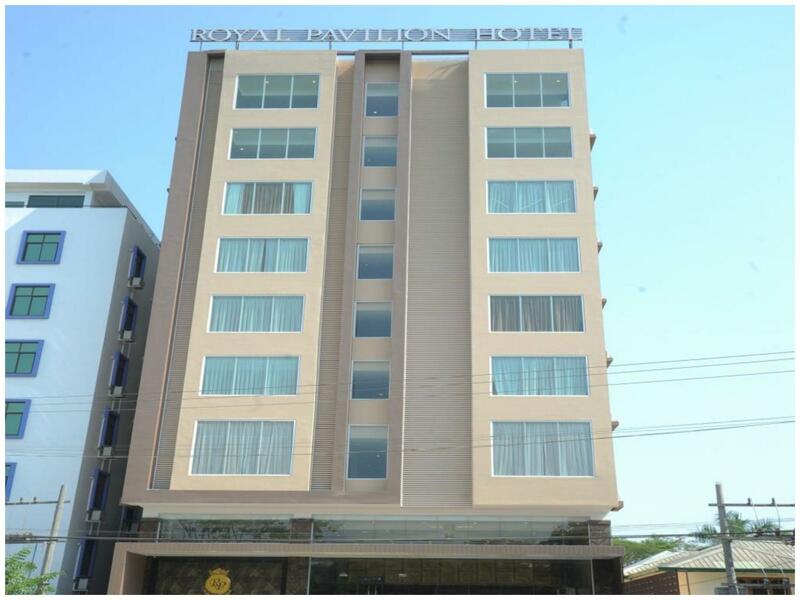 I usually stay in this hotel for my business trip as the hotel location is near to the industrial parks and airport. it is good place for business trip. near to airport and there is big supermarket near from hotel. hotel was nice and breakfast also is good for us. 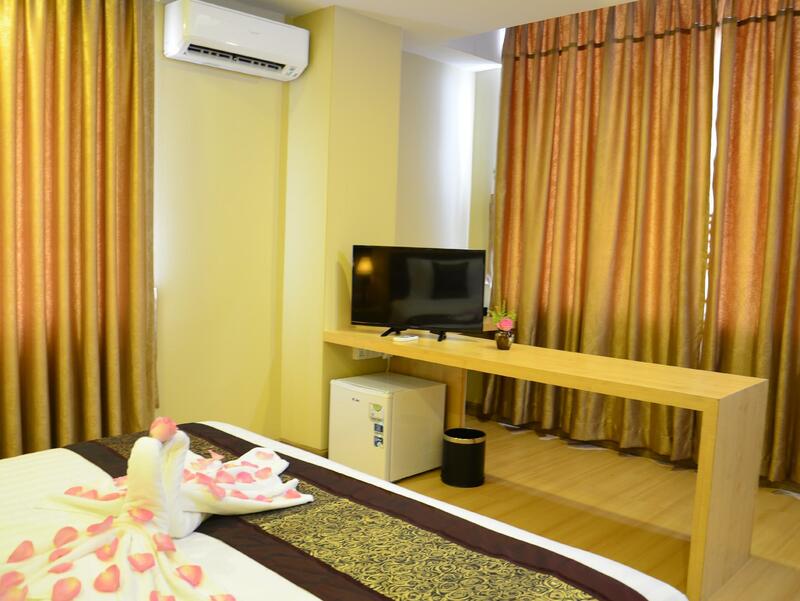 Near the airport, clean room, efficient staff. Breakfast very simple, with limited choices.